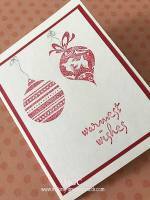 Here are the beautiful handmade pocket cards created by a few of the group members of MakingGreetingCards for the Weekly Cards Challenge. 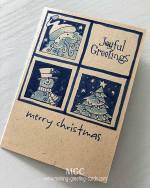 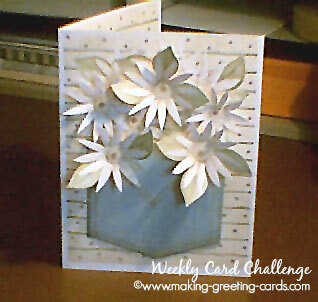 The Weekly Cards Challenge, in short WCC, is a weekly event that allowed members of MakingGreetingCards, a Yahoo group, to participate in stretching our creativity in making cards according to the theme for the week. 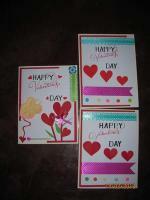 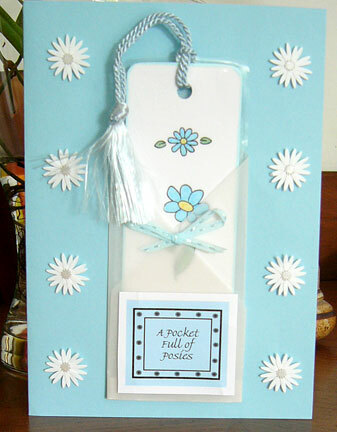 A Pocket Full of Posies Challenge : Members were challenged to create pocket cards within the week. 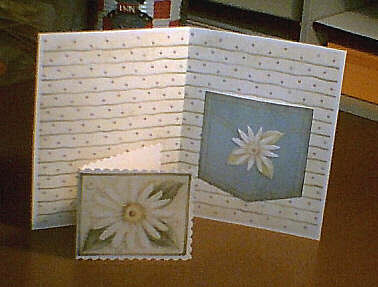 Each card has to have at least a pocket in the card design. 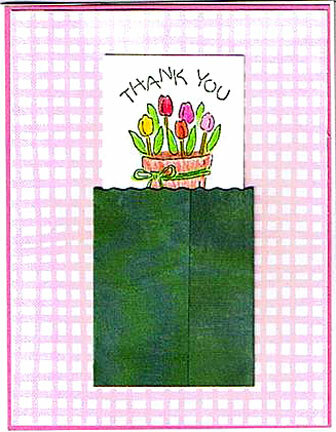 Comment : posy pocket thank you card (1)- stamped with 3 tulip stamp, added a button to the pocket, then stamped thank you. 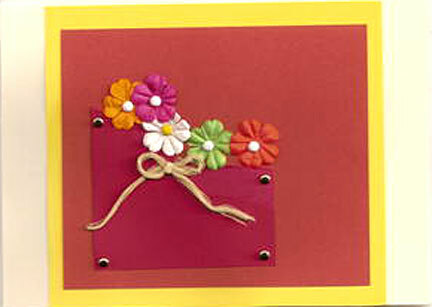 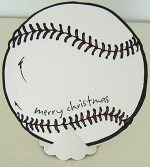 Comment : Front of card - Creatable graphics printed on cardstock, cut outs and layering. 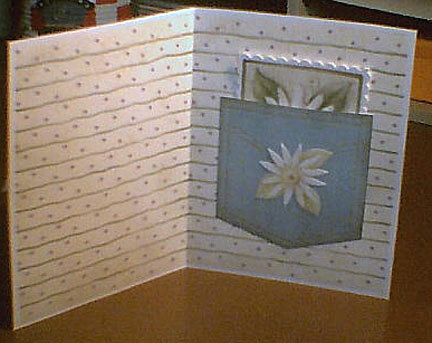 Comment : Inside of card with the notecard in the pocket. 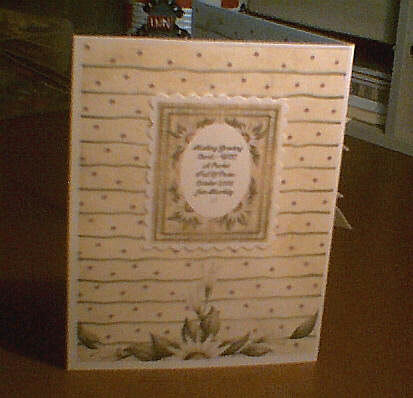 Comment : Inside of card. 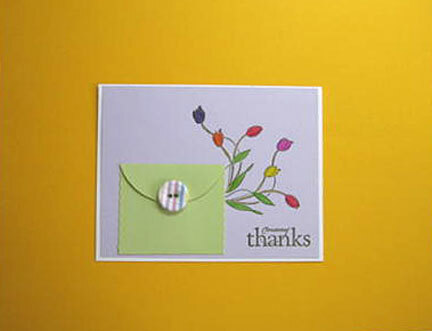 Comment : Bookmark can be removed from pocket.